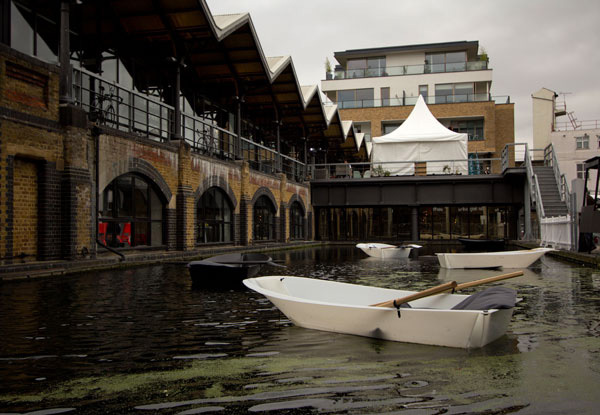 Our London-based editor Justine Aw shares another find from the London Design Festival! 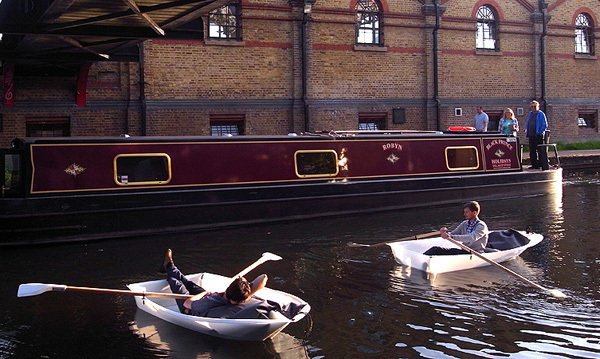 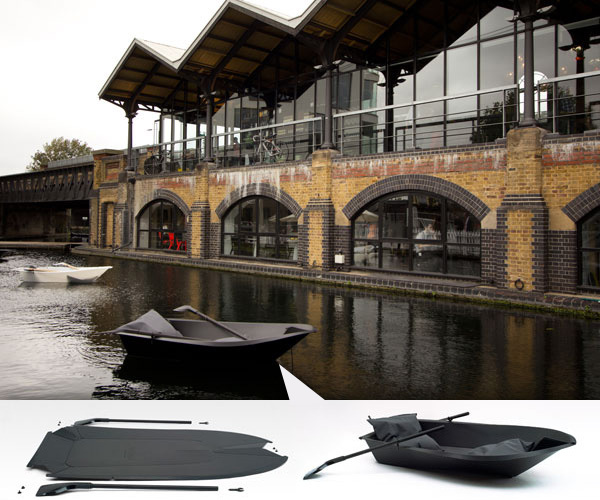 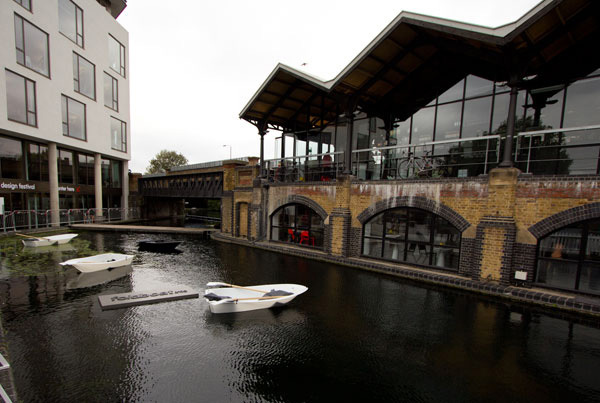 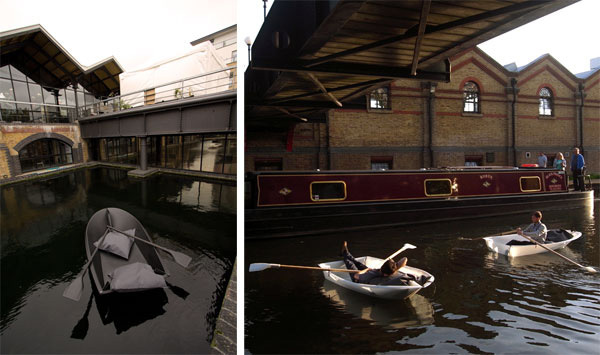 Foldboat (the design duo Max Frommeld and Arno Mathies) featured a special Dock edition boat at Tom Dixon’s ‘Multiplex at The Dock’ during the London Design Festival. 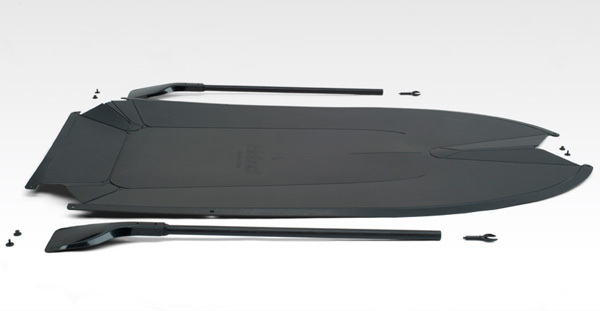 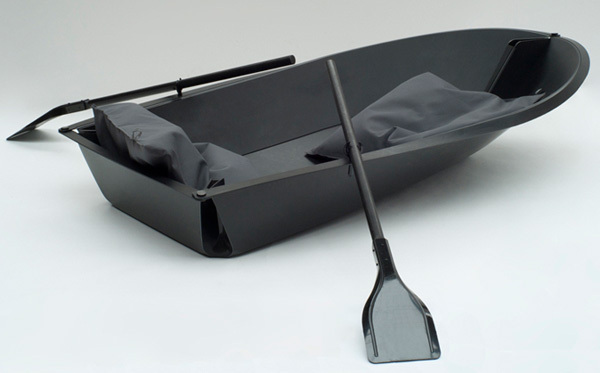 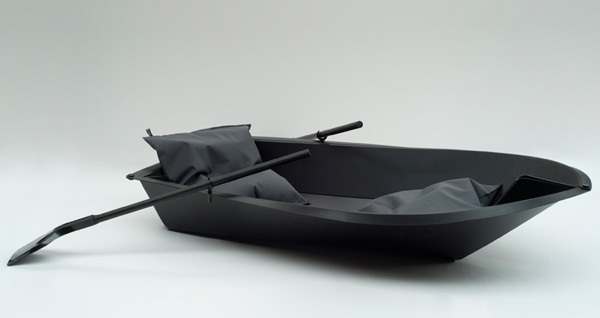 As the name suggests, the boat is literally folded from a flat 2.5m x 1.5m plastic sheet and can be transformed from flat sheet to row boat by a single person in 2 minutes using only 3 components. 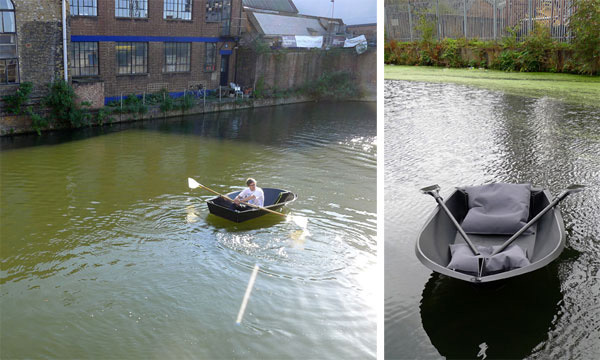 Amazingly fun to see it action ~ see more pictures of it at the Dock as well as close ups on the next page!